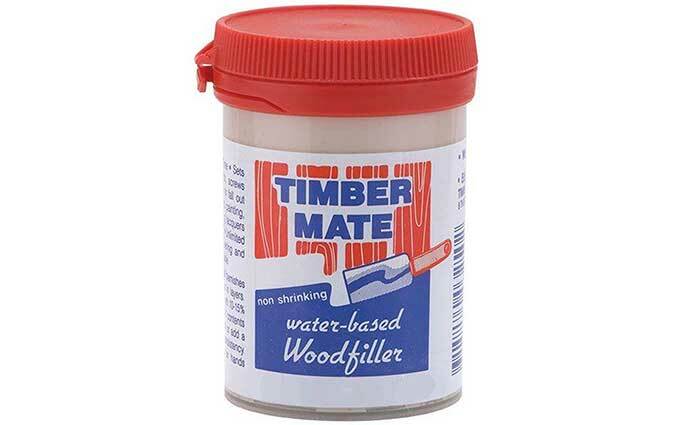 I have used Timbermate wood filler for about a year year and I make a point of having it with me in my tool bag at all times as I am a renovation contractor. What I like about it is that it doesn’t shrink. It comes in white and is easily tintable with anything (including oil or latex). If it dries out, you just put some warm water in it and it comes right back. You can dilute it down to a light paste for filling minute flaws in painted surfaces. You can thin it even further and use it as a grain filler or a spot primer. It dries quick. And it is eminently sandable and workable. It comes in several different wood-toned colors, too. Overall, this is definitely a superior filler that has an unlimited shelf life.